With the race for the playoffs, top two and final relegation spot set to go right down to the wire, most games over Easter weekend look set for plenty of meaning somewhere, but Preston against Ipswich isn’t one of those games. The hosts were in contention for the playoffs not long ago, but four straight defeats have ended those hopes, while Ipswich had their relegation confirmed last weekend as they drew 1-1 with Birmingham. Preston have been a topsy turvy team this season. After struggling in the relegation zone for the early months of the season, seemingly unable to buy a win, they became one of the form teams in the Championship in the early months of 2019, moving up the table in the process. Just as it looked like they were in touching distance - just before the most recent international break - they’ve fallen away completely. Saturday’s 4-1 defeat to West Brom was their fourth in a row. It’s worth considering that three of those four defeats have been against teams in the top four - Sheffield United, Leeds and West Brom - and they were edged out in a game of small margins against the Blades (1-0) and Leeds only took the lead once they’d been reduced to ten men before they won 2-0. The nature of their capitulation against West Brom, going 3-0 down before the break, suggests a team that’s given up on the season. The return of Ben Pearson, having served a one-match suspension last weekend, will add extra composure to the midfield though. 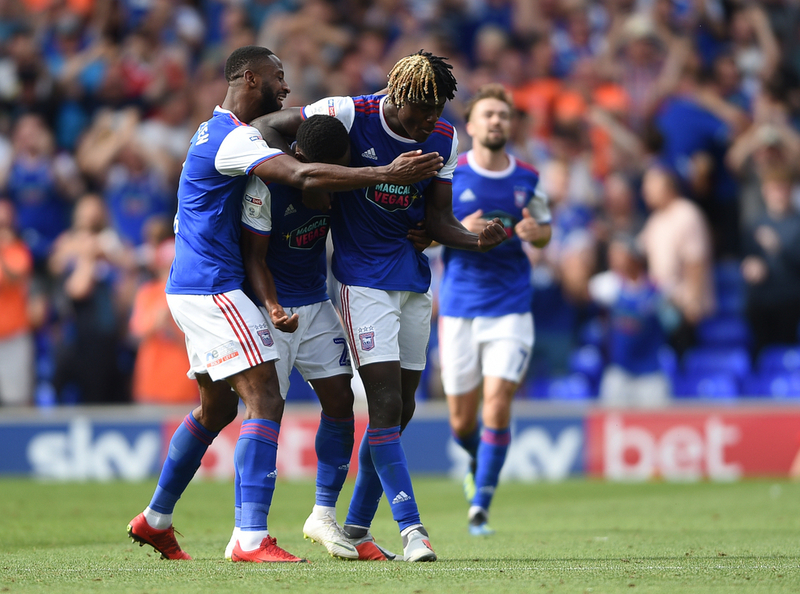 The writing has been on the wall for some time for Ipswich, and after their relegation was confirmed last weekend, there’s a chance they might have a short-term boost with a sense of a weight being lifted, in a similar way to how Fulham responded to the drop by beating Everton at the weekend. While being rock bottom for almost the entire campaign, Ipswich have actually been edging closer towards Bolton and give themselves a chance of avoiding the indignity of a bottom-place finish. Wins remain few and far between, but Ipswich have actually not been losing very often of late. They’ve only actually lost three of the last 11 games, drawing seven of them - each of them finishing with a 1-1 scoreline, with the latest against Birmingham last weekend. Expect few changes; last week’s goalscorer Gwion Edwards will likely feature alongside Collin Quaner and Alan Judge in a front three, while Luke Chambers will partner James Collins at the back. With nothing to lose, young teenage prospect Trevoh Chalobah could be given another run out at the base of midfield.